2019 will remain in history as the year in which the distribution of digital games became an MMA arena flooded with the blood of Epic Games Store and Steam, considering the fierce competition they are developing. This time we bring the words of a former Valve developer, Richard Geldreich, who without shaking his hand has gone to Twitter to tear the platform of beloved Gabe Newell. Geldreich esures that Epic Games will continue to win in the exclusive market, and recognizes that it still lacks many features, so they should speed up their development so as not to fall behind quickly. Geldreich’s words look as much like an industry analyst as a former employee, and finally they sound like pure speculation. 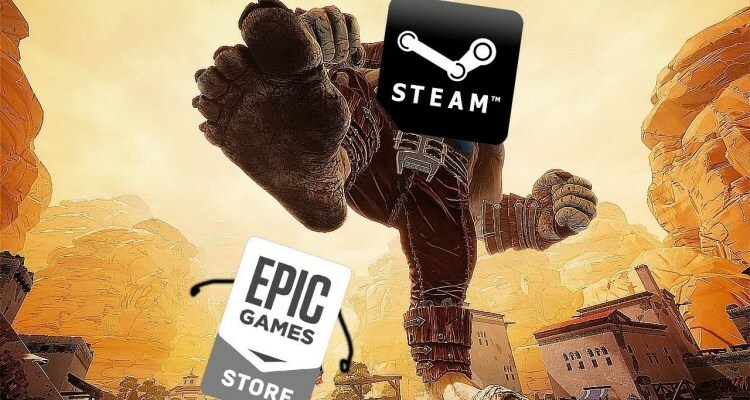 Although if there is something that is true: all this panorama has many people angry about the current state of the distribution of digital copies of the PC platform. Right now, many of the ‘exclusives’ seen on the Epic Games Store are simply timed, which means that the titles will eventually make their way back over Steam. Borderlands 3, for example, is a 6-month timed exclusive, meaning that players – should they choose to remain loyal to Steam – could simply wait to play the game then. That being said, the time spent waiting can be frustrating – though that’s not limited to the PC.